The poster just shows some of the other packs you can buy. The inside box is not numbered and would be the same regardless of the console type used. 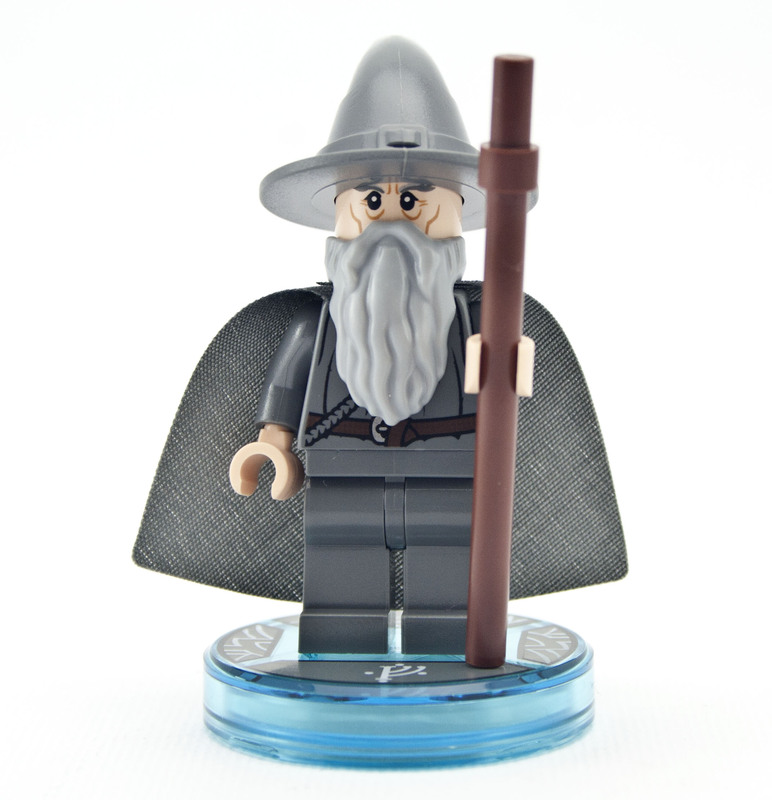 Instruction booklet - for the main three characters (Wyldstyle, Gandalf and Batman), and the base portal/vortex. 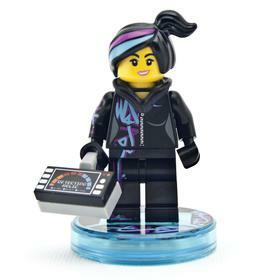 The building instruction book actually tells you to start the game as soon as you've created the three minifigs. The game then has on-screen instructions for the portal which is a little strange since they went to the trouble of printing the instructions in the booklet. 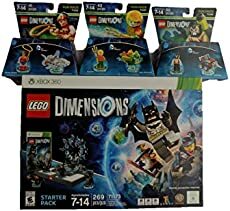 My LEGO Dimensions version is for the XBox 360 console. Unfortunately I only have the basic composite cables (red/yellow/white) for it which doesn't give a very sharp picture on the TV. I have spare component/HDMI cables lying around but of course the XBox has a proprietary connector so I can't use them. 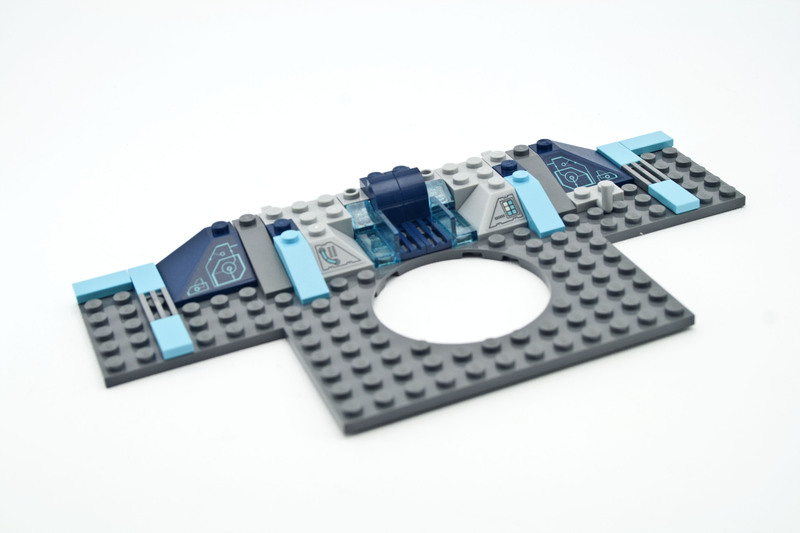 This makes following the on-screen building instructions a bit difficult. The numbers and colors are hard to make out, and it requires a bit of reverse engineering from the images to figure out what goes where. I had the same problem with some of the hints and tips such as when it shows you which characters have the required special abilities to get past something. I had a few other issues with getting the game installed since we never use that console and had years worth of updates to apply. Also the game had to be installed on a USB stick and couldn't be run from the disc, I'm not sure if that's normal behaviour for the XBox. The Starter Pack contains three characters: Wyldstyle, Gandalf and Batman. 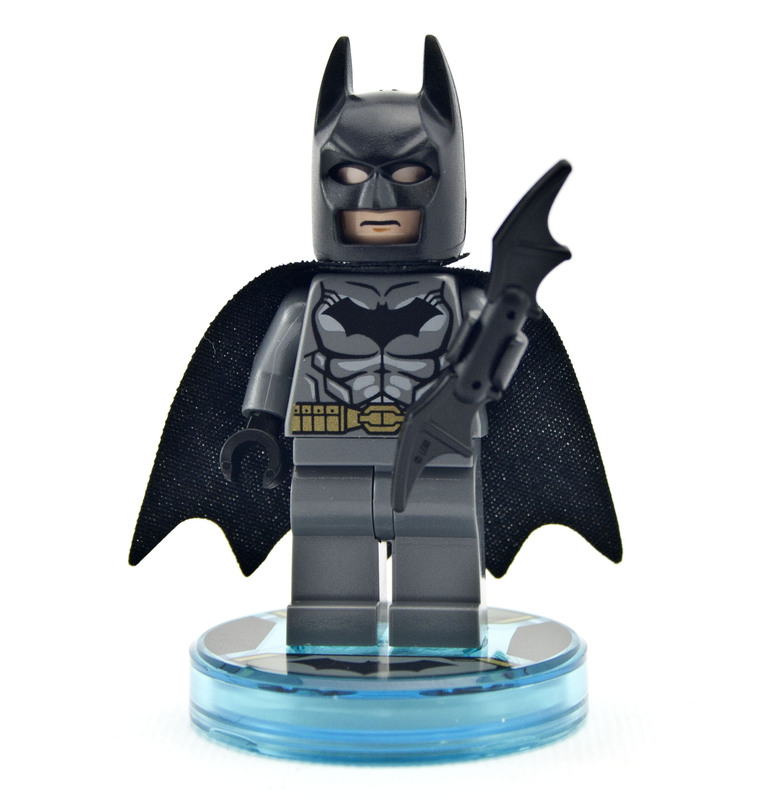 Each character has different abilities, for example Wyldstyle is agile and can climb up special areas, and Batman can pull things apart with his bat-a-rang. This means you need to switch between characters quite often to progress through the levels and unlock special items etc. It also means there are parts of the game you can't play without buying the extra characters with those abilities. There are Hire-A-Hero stations here and there where you can hire a character for a short duration (e.g. 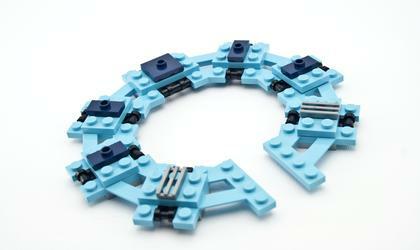 30 secs for 50,000 bricks). I'm not sure how prevalent these are though, so be prepared to shell out some cash for the extra Team/Level/Fun packs. 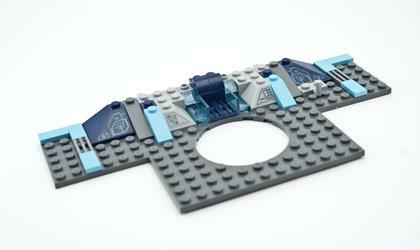 At various points you are able to create vehicles or items for your characters via on-screen building instructions. Each of these items sits on a special blue disc or "tag" which is written to by the console to identify the item. Vehicles can be driven by any characters in the game, and allow you to access areas you wouldn't otherwise be able to. The Starter Pack set comes with the Batmobile vehicle. 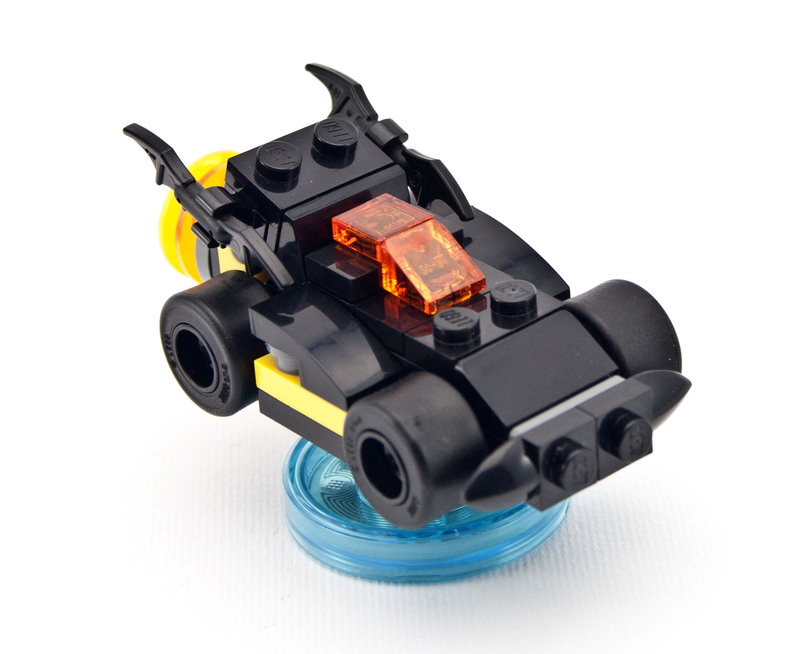 Although the main set only contains the three characters and the Batmobile, characters from the Fun/Level/Team packs each come with a vehicle and/or an item. 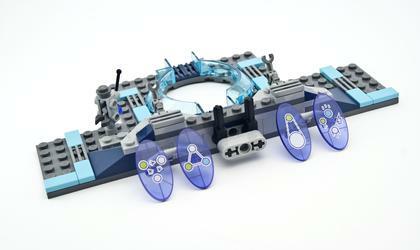 Each vehicle can be rebuilt into three different forms, available after unlocking them. 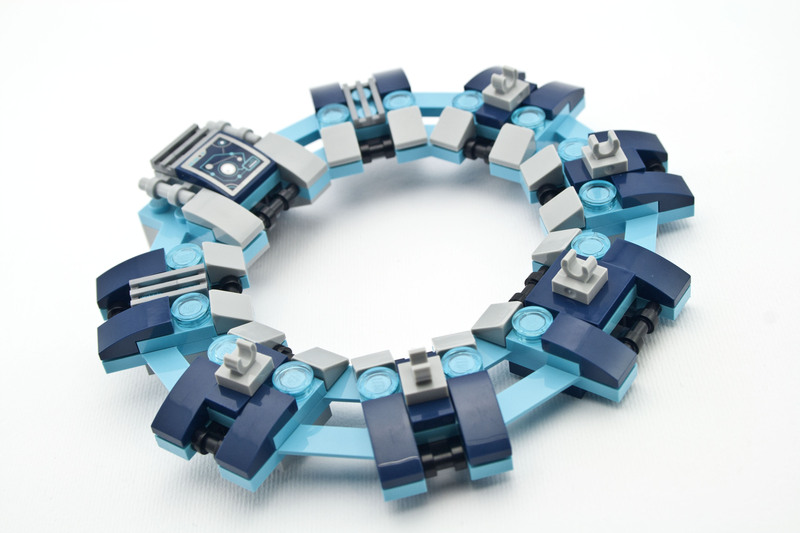 They can be unlocked by spending studs or gold bricks which are pretty rare and take a bit of work to find. 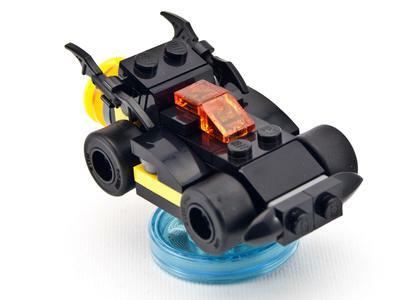 The alternate forms of the vehicles don't seem to provide any extra features, they are just visual changes. Items such as the Portal Companion Cube can also be upgraded by spending in-game studs/bricks. The upgrades unlock extra abilities or simply the appearance of the items. They extra abilities do not seem to be required to finish the game however. There are a few new parts to be found. The five "Keystones" which might be useful for... something. 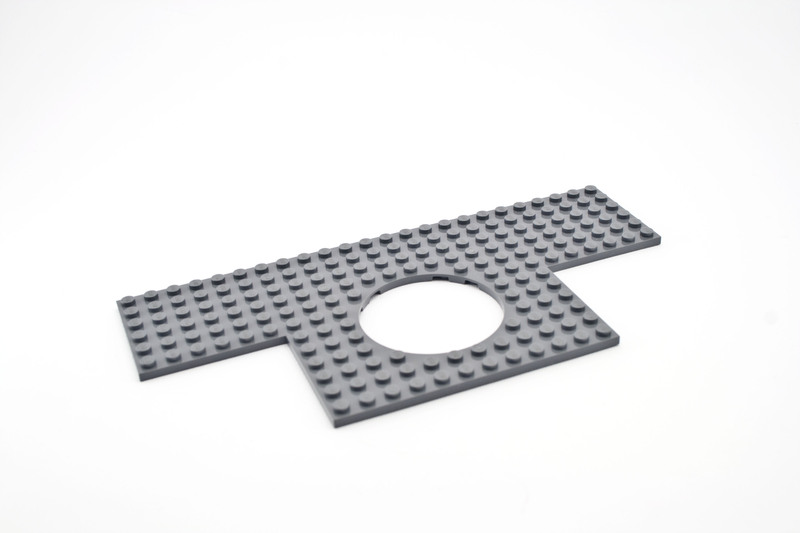 The base tags are pretty unique to the Dimensions game, and probably aren't useful for anything else. 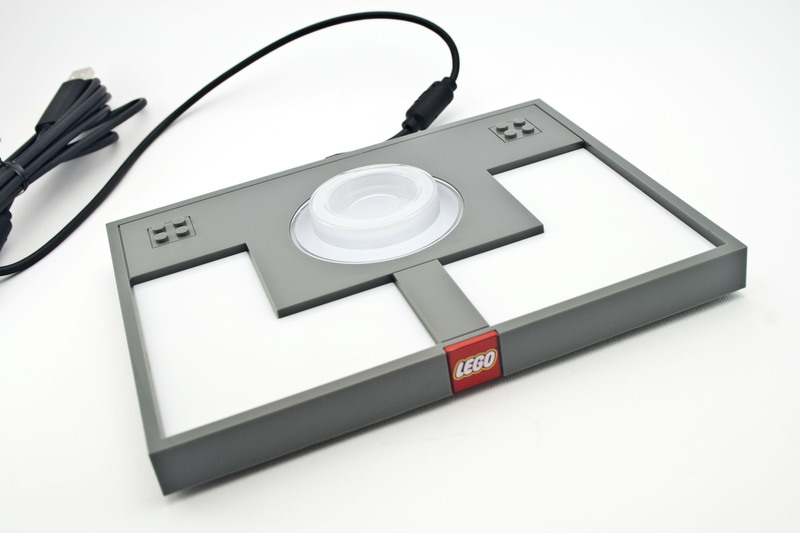 The base consists of the electronic baseplate with USB cable. The rest of the portal is built on top of this base. 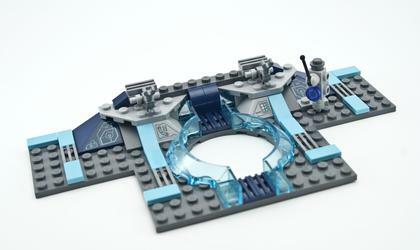 The base portal contains three main sections with seven spots for characters. Each of the three sections can light up individually, in a variety of colors. 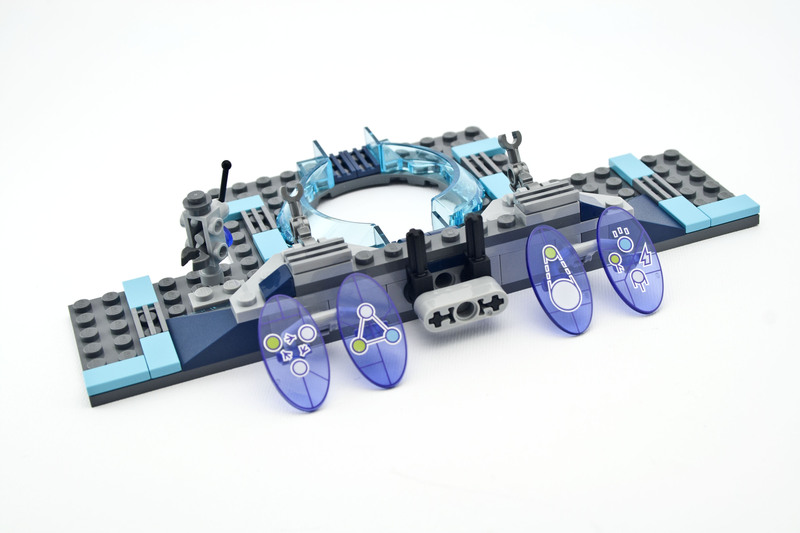 As the game progresses, you are instructed to move the five purple "Keystones" from the back of the portal to the front. 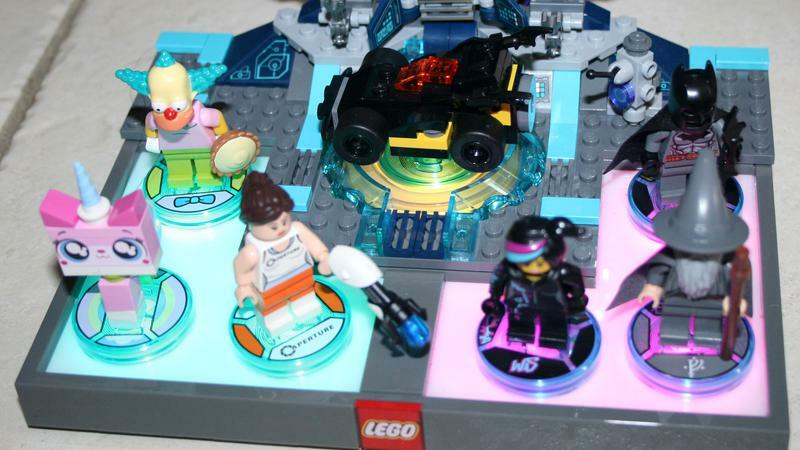 The game starts by guiding you to place the characters in various spots on the base portal. As you place the characters, different in-game events are triggered. A story of Batman saving Gandalf from the Balrog while Frodo is sucked into a portal unfolds which gradually introduces some of the game mechanics. There are a lot of cutscenes throughout the game, seemingly every few minutes sometimes. I won't reveal any more, as quite frankly the story is completely ridiculous and very confusing to explain. Of course, that doesn't matter as you are just meant to enjoy the experience. The portal allows you to travel to different worlds, covering the different themes, starting with the Wizard of Oz of all things. Once each world is completed, it is unlocked allowing you to travel back to it at any time. 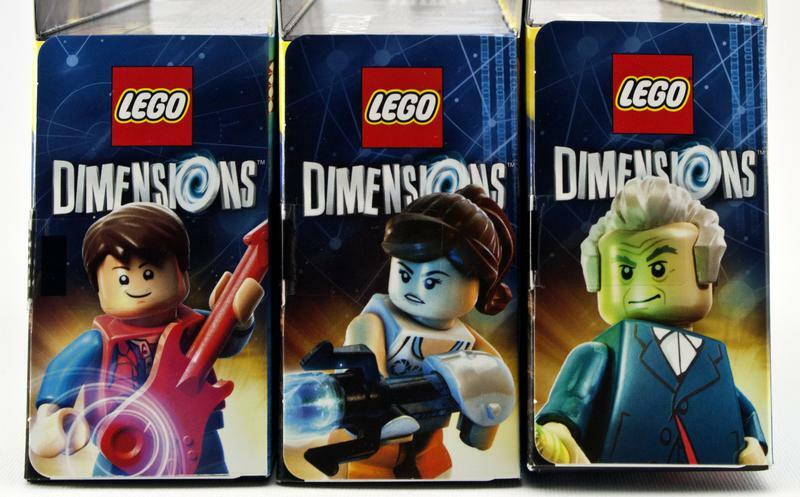 The extra Level Packs you can buy unlock extra worlds: Portal 2, Doctor Who, The Simpsons, and Back To The Future. The many franchises in play means there is something for everyone. 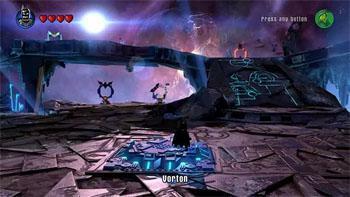 There is a central hub-like area called Vorton where you can go at anytime. 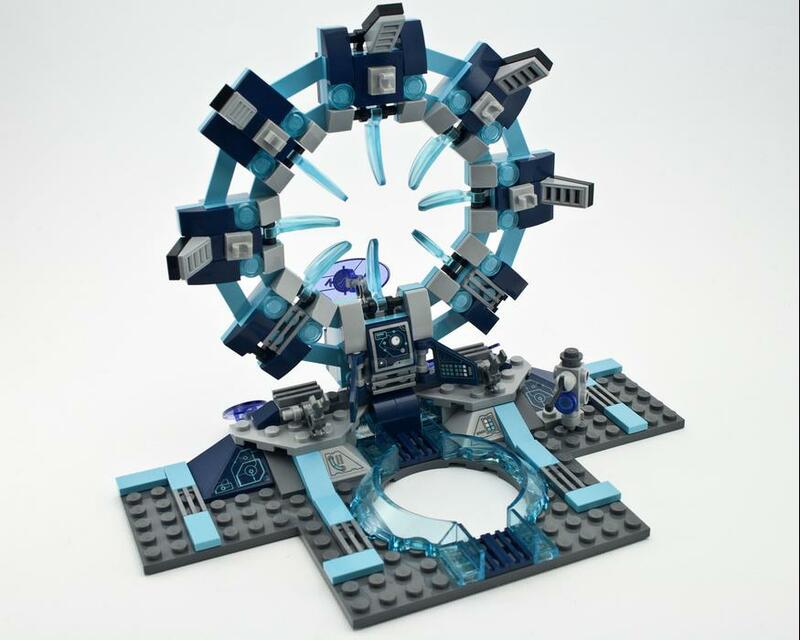 From here there are portals to every possible world in the LEGO Dimensions universe. To access the portals you must have the appropriate character though. In fact, every character you can get has it's own world to explore. However, you can explore those worlds with any character you like once it's been unlocked. 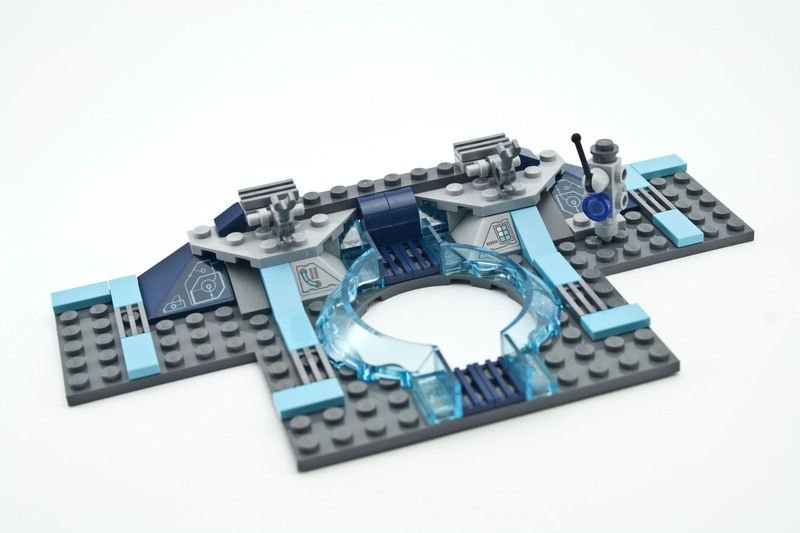 You need to collect all five Keystones to activate the Dimensions Portal and allow each character to get back to their own world. Thus finishing the game. The mechanics of controlling the game's characters is much like all the other LEGO games. You break things and pick up varying colored studs. Personally, I find it very hard to control but I'm not used to using consoles. My son has no such problems and is a natural at navigating the worlds. Sometimes, the game prompts you to place the characters on different parts of the base which lights up, before proceeding in the game. This seems kind of like they are just trying to find an extra use for the base because it's there. Jumping from world to world helps break up the game, so it doesn't feel like you're doing the same thing over and over again (which you are). There is plenty of character dialog and inside jokes for each themed world, if you are familiar with the particular world you are in. I'll get you my pretty, and your big dog too! 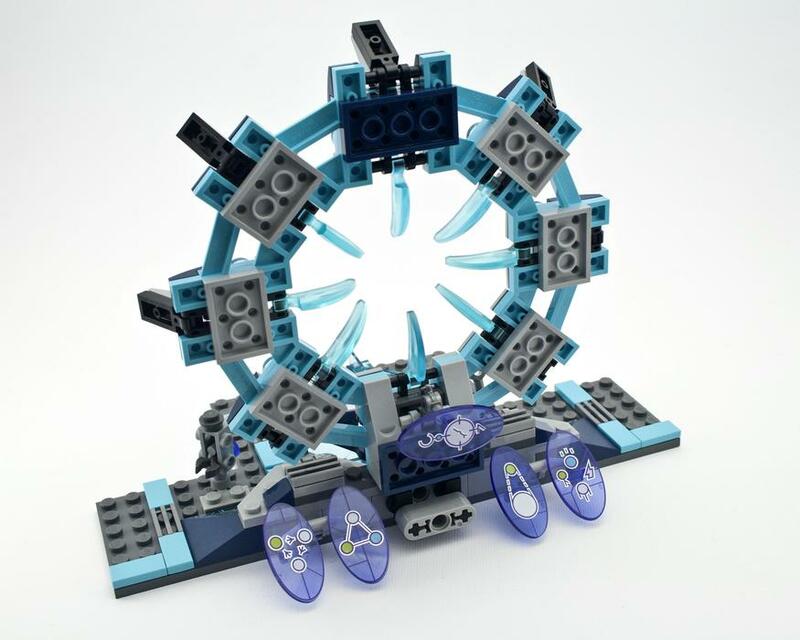 For now there are four Level Packs available: Back to The Future, Portal 2, The Simpsons, and Doctor Who. 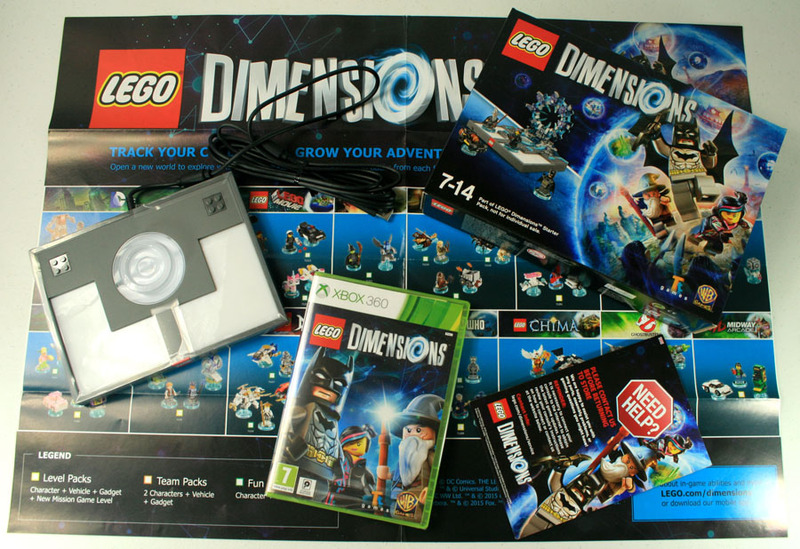 These packs contain one character, one item, one vehicle, and a whole extra world within the game to explore. I'll do separate reviews of these three packs later. 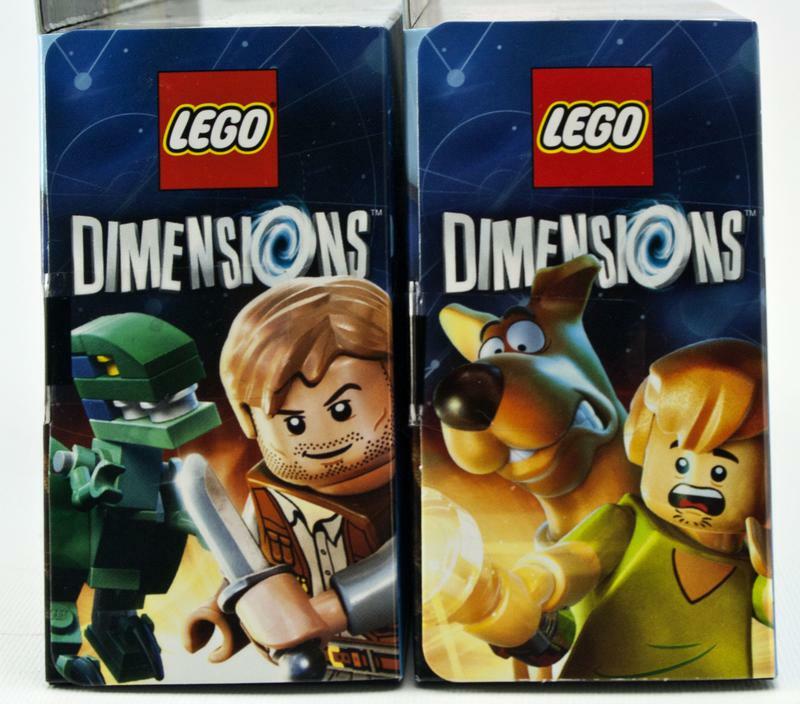 There are currently three Team Packs available: Jurassic World, Scooby-Doo, and Ninjago. These packs contain two characters and two vehicles. I guess they are so that you can have two players with similarly themed characters. However, with all the swapping required in the game, I'm not sure if there's any point. I have these two packs, and will do a separate review of them later. There are 18 Fun Packs available, including Unikitty, Krusty, Wonder Woman, Benny, etc. 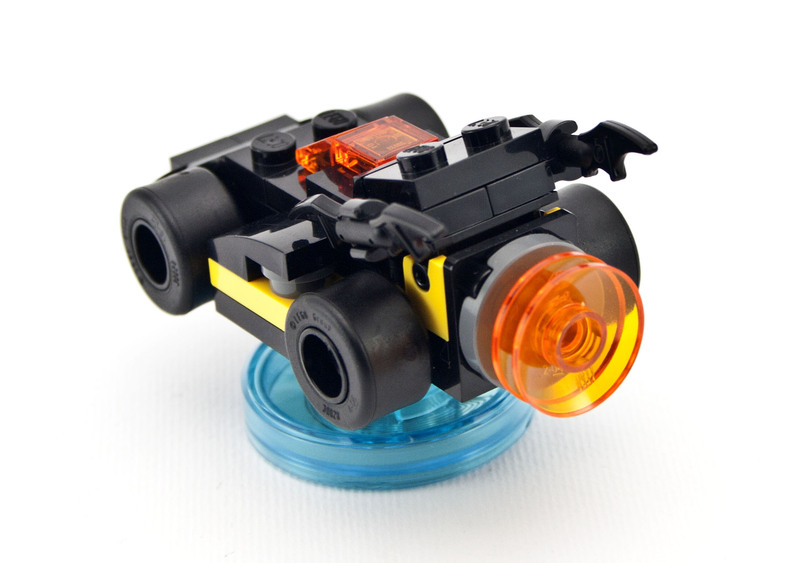 Each pack contains a single character and a vehicle. I have the following six packs and will do a separate review of them later. I've had this game for about 2 months and haven't finished it yet. My son is the one doing all the playing, and he has spent most of the time in the Portal 2 world available via the Portal 2 Level Pack. There is a lot to explore, and plenty of in-jokes spread around. It also triggered him to go and play the real Portal and Portal 2 games which has added to the delay in finishing! I'll do a separate review of the level packs later. I think the game is definitely better suited for kids. 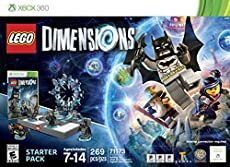 Other than the difficulty with the controls, I couldn't really get into it, but have felt the same with other LEGO games. Like all those other LEGO games, it is really far too easy. When you get hit by the bad guys, you lose health points until you reach zero. At which point, you immediately respawn and keep going. I'll hold off on my old guy rant of the good old days. The game is quite expensive at about US$100 for the Starter Pack, US$30 for the Level Packs, US$25 for the Team Packs, and US$15 for the Fun Packs. To collect them all would be a considerable sum. It's a complete miss for me. And I just don't get the point - why do you need physical items to play that game? Simple - it's a great way to make more money! Kids will be asking their parents for the extra packs. I've seen it in another game recently - Skylanders. You can always make a boardgame out of those figs, if you get tired of the videogame.